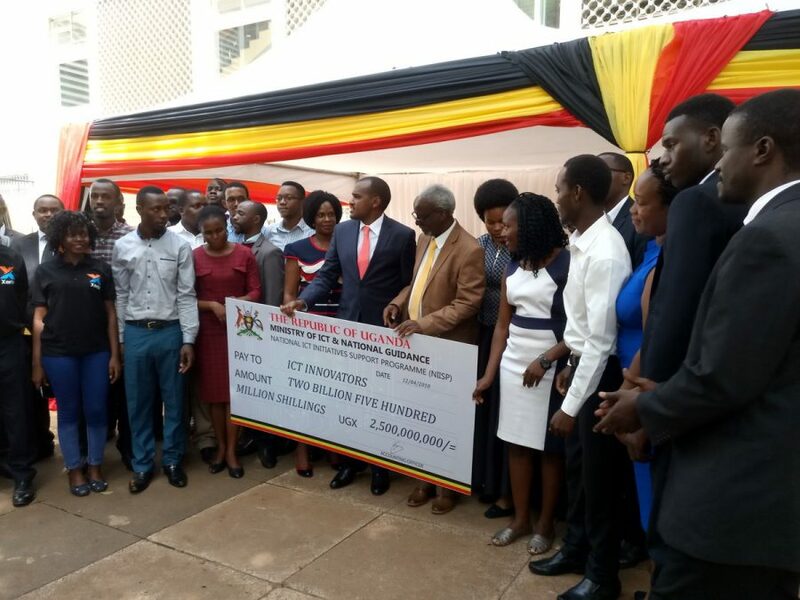 Government has today launched a 13 billion Uganda shillings fund meant to give the country an edge in Information and Communications Technology innovation. 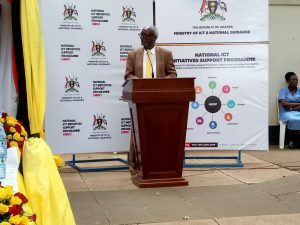 The National ICT Initiatives Support Programme (NIISP) was unveiled by the Second Deputy Prime Minister and Minister of East African Affairs Kirunda Kivejinja on behalf of the Prime Minister Dr Ruhakana Rugunda. Kivejinja presented to the 40 winners a dummy cheque of 2.5 billion shillings to support their innovative ideas. The winners were divided into groups. The 12 winning groups were selected out of 300 projects that were pitched the ICT ministry. -Providing systematic & sustainable support to national ICT innovators. -Promoting ICT products, services & solutions for improved service delivery as part of a wider digital ecosystem. 1. AIMS: The Academic Information Management System (AIMS) . The system is designed For computerization of student information, fees, financial and all Other University functions. The ministry of Education has so far piloted it in six public universities. 2. 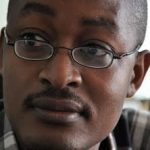 KICARE: KiCare is a non-invasive solution that tests for Kidney Functionality; the difference is that a blood sample is not required toperform this kidney functionality test. 3. Protecting infants remotely by SMS (PRISMS) is an SMS based system which assists health workers to provide new-born care clinical management through provision of instant clinical care decisions based on routine assessment findings. 4. WULIRA APP: Is a hearing assessment mobile application that is used to assess hearing loss in patients such as those on TB or HIV medications. This application helps patients discover that they have hearing loss before it is too late for medical practitioners to remedy. 5. SYSIMO TECHNOLOGIES: Blood Donation System (BDS) is a mobile based Application which facilitates communication between blood donors And blood donation centres so that the appropriate donor can be Reached just on time. 6. DERO ENERGY SERVICES LIMITED: This application supports the acquisition of localized solar power that is cheaper than grid power to support renewable energy. Inclusion, Business training and increased energy literacy. 8. INTEL WORLD INTERNATIONAL: Xente is an application that enables cashless consumer to business transactions. It is an online payment platform that enables businesses to reach and transact with their customers. 9. OCULAR: Ocular is a mobile application which enables diagnosis for microscopically diagnosed diseases. This application is at prototype level and has been successfully tested– it sits on a mobile phone that is connected to a Microscope for the diagnosis. 10.6th SENSE: 6th Sense is a mobile application, which translates Sign language to speech. It is applicable in service delivery facilities to support persons with disability especially the deaf and the dumb and addresses equity aspirations. 11.MUNU TECHNOLOGIES: Munu Technologies Associates (MTA) is an IT company offering business processing outsourcing(BPO) services to organizations seeking operational effectiveness, greater flexibility and lower operating costs. 12.M-FARMER: M-Farmer software is designed to extend technology services to farmers. This application enables farmers to keep better records, increase efficiency of operations and make informed decisions. It shall help provide support to the farmers including extension services, market and weather information among others.